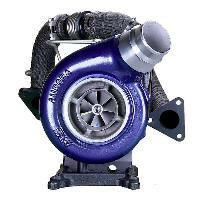 Stop replacing the expensive factory turbo. The Ball Bearings on the stock turbo don't allow it to be rebuilt. 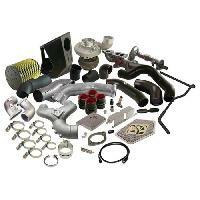 The best way to upgrade your 6.7 turbo that is prone to early failure problems is with a single turbo kit. Featuring the Borg Warner SXE turbo line of turbos. This aftermarket T4 style mount system is the best way to upgrade. 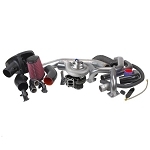 Have your choice of turbo sizes at any time and upgrade as need when you add more fuel. 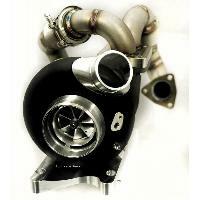 Which turbo is best for your set up? Give us a call if you need help and we'll walk you through your options.